I’ll always remember Norma Bates at her most indefatigable. Despite her perpetual suspicion that the world was out to stick it to her and her family, Norma could rise to a challenge like few others. Remember when she first moved in to that big drafty old house? She didn’t see the cracks and the peeling paint; she saw opportunity. Norma was like that, always seeing chances where others might presume dead ends. It got her out of more than a few jams (and sure, it got her into a few, too). She gummed up the works on a public roads project. She stood up to gangsters. She kept a seemingly doomed motel afloat. And if she decided you were on her side, she was fiercely loyal. She didn’t let many people in, but when she did, she was all in. For all her flaws, she was a hell of a woman. We’ve all been wondering when the show would pull the trigger on this most irreversible of acts. But I doubt any of us began this episode thinking it would end with Norma’s death. The slow march from Norma and Alex arguing about whether Norman belongs back in Pineview, to the final moments of Norman lighting the furnace and laying down beside his mother in a final act of murder and suicide, progressed steadily, but never inevitably. At least, not until Norman lit the fires, and the strains of a languorous, mournful “Mr. Sandman” began playing, against the backdrop of his death march from the basement to the bedroom. The closing of all the vents and heating flues was executed slowly and deliberately, with the resigned peace of someone who knows they won’t live to see the morning. 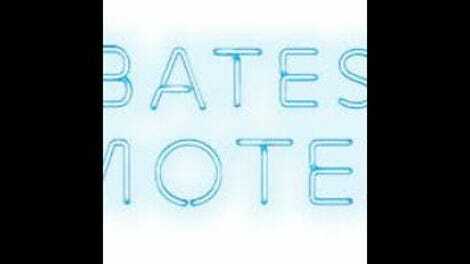 It turns out, the death of Norma Bates was never some impassioned kill on the part of a blacked-out young man. It was the thoughtfully considered resolution to what he viewed as an impossible situation. We all wondered how Norman would commit the act, and now we have an answer: with absolute gentleness, and a wish of lasting peace for both himself and his mother. Still, we come here not to bury Norma Bates, but to praise her. Because what this season of Bates Motel has shown us is that Norma was never just a victim of her own impulsive and stubborn neuroses. She was a victim of circumstance; freed from the claustrophobic air of her codependent relationship with her son, Norma blossomed. She found love and a measure of contentment, however fleeting. Even when she was denying to everyone, including herself, just how dangerous Norman was, she managed to rise above her traumas and insecurities, and build a marriage with a good man. It was a revelation watching Vera Farmiga this year. Who knew she’d been concealing a gentle and understated romantic beneath those layers of Norma Bates’ high-camp hijinks all this time? Farmiga was always very, very good: This season, she was superlative. 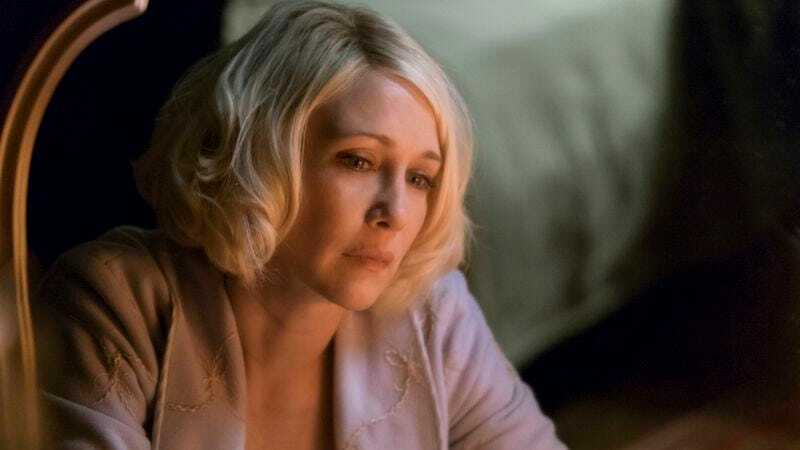 So let’s trace the final hours of the character, as Norma Bates went from frustrated newlywed and protective mother to lifeless (but peaceful) corpse. The toughest needle “Forever” had to thread was the switch from Norma relying on Romero to rejecting him, and while it could’ve done a better job with their final fight (there are things Romero could’ve said to try and undo the damage), the notion that Norma would torpedo the biggest source of happiness in her life for the sake of her troubled son rings true. Everyone said it to her tonight: She has a blind spot when it comes to Norman. First Romero tried his best to reason with her, as only a patient and loving husband could have. And when that didn’t work, he turned to Dylan, probably the last best hope of getting Norma to see reason. To be fair, Dylan did his level best, pulling out what he likely saw as a trump card: Ms. Decody’s earring. It’s the jewelry equivalent of a giant red flag screaming “your son murdered someone,” but Norma isn’t having it. In fact, she reacts with such exasperating charm, it’s easy to smile at her obstinacy. “You’re just talkin’ a bunch of nonsense,” she rambles, which is classic endearing Norma, even as it’s the final rejection of reason. And she knows she’s being dishonest with Dylan; she just can’t bear to say out loud what they both know to be true. Which, for Dylan, is the final piece of evidence he needs to see she’ll never really be on his side. In his mind, given a choice between a disturbed killer and him, Norma chooses the killer. It’s heartbreaking to see his explosive hurt, encapsulated in that wounded, “You’ve never been a real mother to me!” It’s both true and not: Norma and he really built a relationship over the past couple of seasons, but Dylan always comes second in her mind. So he leaves, but not before giving an equally affecting hug to his brother. It’s sad and touching, and yet Dylan is right—he has to get away before he’s pulled down, too. So when does Norman make the fateful decision? To me, the answer seems obvious: It’s the moment when he puts on Norma’s robe, looks into the mirror, and the full weight of the situation hits him. Not the real facts, of course, but rather his interpretation of them. There are two possibilities, here. One is that his suspicion his mother is a killer has finally been confirmed—he finds her robe, after all, hidden away in Ms. Decody’s suitcase, the all but incontrovertible evidence Norma killed some poor woman and hid the proof. In that case, he would presumably decide there was no going back for his mother. She had to die to protect anyone else from getting hurt, and since Norman didn’t want to live in a world without her, he had to kill himself, too. But there’s another option. We’ve all seen how emotionally fragile Norman is when he gets all worked up. It’s entirely possible that, looking into the mirror, wearing the robe, he suddenly realized everyone’s fears about him were true. After all, he knows he takes on the persona of his mother when he blacks out. But in this case, as with the other giant traumas in his life, he retreats to protect himself, and the Norma/n persona takes over. If that happened, then the realization of his own culpability triggered the Norma/n persona, who proceeded to take care of matters, while letting Norman know it was her doing all along. Then, when he washed his hands, and came back to himself, the understanding that his mother had killed yet again left him no choice but to act. This is less likely, I think, but it’s a possibility. Norma/n, after all, is capable of a lot. For truly inspired moments of loss, though, we return once more to poor Sheriff Alex Romero. Almost everything he’s done these past months has been to protect Norma Bates. He fell in love with her. He gave his life over to hers. And his worst fears about Norman were realized. Norma was killed by her own son, and throwing a chair through the window of her bedroom isn’t just a necessary air-clearing move. It’s a futile symbolic gesture of protest against this Bates family curse, and the way it dragged him down with these troubled people. As he tries and fails to resuscitate Norma, the collapsing world he lives in seems like it’s mocking him. You lost her to this fight, it crows, and now she’s dead because you didn’t act forcefully enough. When the season finale airs next week, there’s going to be one person we all worry about the most, and his last name isn’t Bates. You’re a good man, Alex Romero. R.I.P. It didn’t even seem worth mentioning Rebecca’s dumb DEA plan, but she turns out to be even worse at wearing a wire than I would’ve guessed. And I guessed she’d be pretty bad. Only a few seconds with Emma Decody this week, and we could’ve used a little more of her. Maybe next week we can all just go for ice cream? Norman offering to get out the Christmas lights, because he knows it would make Norma happy, got me a little choked up. Speaking of getting choked up, watching her collapse in wracking sobs was hard to take, as well. Oh, and putting the ring in the envelope, too. You know what? Let’s all just take a moment for Norma Bates. Next week’s review will likely post later than usual, as I’ll want to give the finale proper time to unpack, but for now, raise your glass.